A whopping 1,013,340 hectares covering both the coastal and offshore waters of Cagayancillo, plus 80,000 hectares of Aborlan in Palawan were recently declared as Marine Protected Areas (MPAs). MPAs are portions of the sea which are protected by law. According to MPAtlas, the Philippines hosts 1557 – more than any in Southeast Asia. “Since WWF introduced marine conservation in early 2000, we have been vigilant. 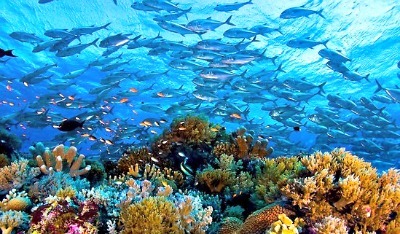 The reefs sustain our need for food and income. For years, we have had an abundant fish supply. I really believe some of them come from Tubbataha, especially the big ones,” shares Cagayancillo-based conservationist Nison Abados.